I spend many hours each day at my desk, doing computer work, and by evening my neck and back muscles are often in knots. I often use gels with menthol, but the aroma of the more aggressive sports preparations can be overpowering. This soothing, pain reducing lotion works very well for me and has a very pleasant, fresh scent of essential oils. The active ingredients are natural ones like peppermint, eucalyptus and arnica (an anti-inflammatory). I also like that it's presented as a roll-on. 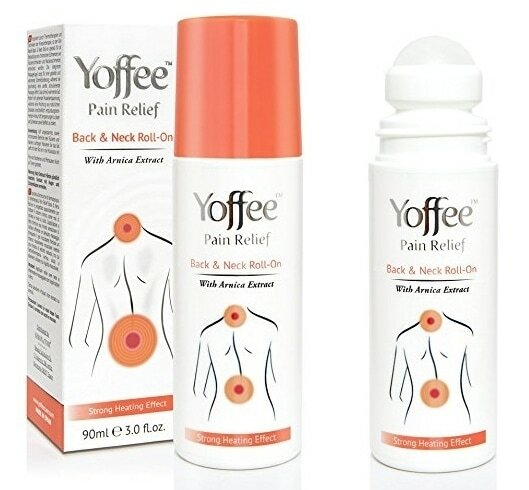 I can easily apply it myself to any area of my back. It also works on any joint or other area prone to muscular or arthritic pain. My husband uses is on a once-broken wrist which tends to swell when stressed, and I have had some good results in managing my chronic hip joint pain. The lotion is very gentle on the skin. I don't notice any dramatic warming effect, but my neck, particularly, feels better very quickly. The gel is absorbed well and, as far as I can see, does not stain my clothes. The 90 ml in the bottle is lasting well with two of us using it once a day, at least. As well as being free of toxic ingredients, this product is also not tested on animals.